With these Airprint ready printers you can print from anywhere using your favorite iPhone, iPad, IPod or Mac. Apple® AirPrint® is a wireless printing technology that pairs your Mac® , iPhone®, iPad® or iPod® to your printer for easy printing. 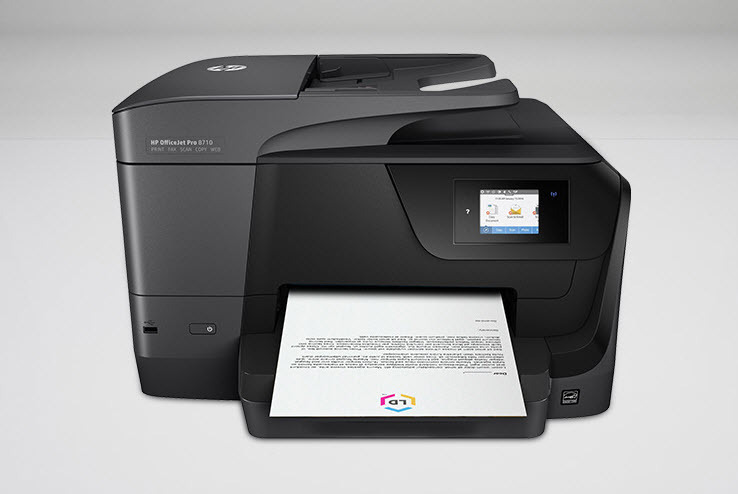 Introduced in 2010 back in the early days of the smartphone, it originally worked with just a handful of HP® printers. As more printers adopted W-Fi, it quickly became a mainstream printing preference for all Apple devices and today works with thousands of machines. In this guide, we cover our favorite inkjet and laser printers that are AirPrint compatible so you get a seamless printing experience across all of your Apple devices. AirPrint offers a simpler way to print. Instead of downloading a specific printer driver to send a print job, AirPrint works instantly over your wireless network. As long as your Apple device and printer are on the same network, your printer will automatically show up as a print option on your device. Almost all new printer models support AirPrint. You can check printer compatibility by viewing the complete list of AirPrint ready printers here. Although it is likely the most convenient option for Apple users, you do not need to use AirPrint to print from an Apple device. Other printing apps like Brother® iPrint&Scan, Epson® iPrint, and Canon® Print will also print from your Apple device. Most also let you perform maintenance and adjust printer settings directly from the app, which can be nice to have if you aren’t near your machine. Now that you know how AirPrint works, let’s jump into those printers! A solid option for casual home printing, the HP Officejet 4650 includes copy/scan/fax functions and modest print speeds of up to 8.5 pages per minute. 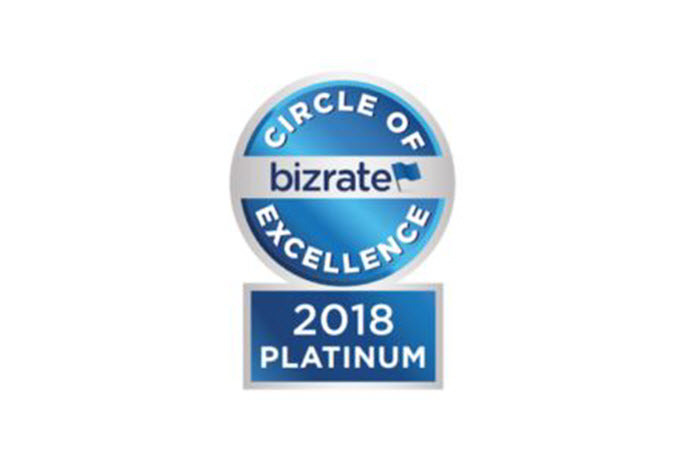 Highly rated on Amazon®, this machine’s dual sided printing feature is perfect for budget minded consumers looking to save on paper and an automatic duplexer handily manages lengthy print jobs. Print anything from Instagram® photos to legal documents with the printer’s wide variety of paper sizes. A 100-sheet paper tray keeps all of your pages neatly intact so you can print more without interruption. The printer uses the HP 63 black and tri-color ink cartridges, which are available in a standard yield and high yield cartridge size. The high yield option is a better overall value, offering more prints at a lower cost per page. To bring your printing costs down even further, consider buying LD brand remanufactured HP 63XL cartridges. LD brand XL black cartridges sell for $18.99 and the XL tri-color is just $22.99. The HP Officejet Pro 8710 is an inexpensive all-in-one that is designed for the home office. A 2.65-inch touchscreen lets you copy, scan, or fax in just a couple of taps or use AirPrint to print over your wireless network. Ready to fly through any print job, the printer’s 22-ppm print speed is one of the fastest in its class. Coupled with a 50-sheet automatic document feeder and 250-sheet paper tray, all of your business print outs are taken care of in one easy to use machine. Need a bit of privacy to your prints? HP’s JetAdvantage Private Print software is also included, ensuring your most important client contracts remain confidential. Original high yield HP cartridges can run as much as $49.99 for the black and $39.99 for each color. Get reliable prints for a fraction of the cost when you purchase LD brand remanufactured HP 952XL ink cartridges. Our black cartridge is just $13.99 and each color is $12.99. Consumers with high volume printing needs will love the Epson Expression ET-2700 Ecotank, a refillable ink tank printer that prints thousands of pages for pennies on the dollar. Instead of replacing printer cartridges, you replace ink bottles, which include enough ink to print 6,500 pages of text and 5,200 color pages. To refill, just position the bottle over the appropriate color slot and the ink automatically stops at the fill line. Multifunction scan and copy features are ideal for any basic print job, including text, color documents or your favorite iPhone photos. Print those digital memories with AirPrint, perfect for sending borderless photos from your iCloud account directly to your printer. With a print speed of 10.5 ISO ppm for black text and no automatic document feeder, printing can be a bit slow for larger print jobs. However, the cost per page value might be worth that extra wait time. 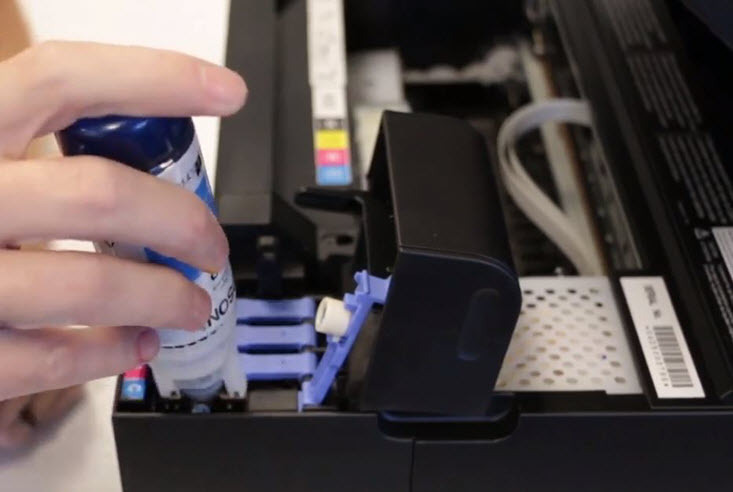 Epson sells the 502 black ink bottle for just $19.99, offering a cost per page of .30 cents. Cyan, magenta and yellow ink bottles go for $13.99 and offer a cost per page of 1.0 cents. You can save even more with LD brand compatible ink bottles. Our compatible 502 black ink bottle is just $8.99 at a CPP of 1.3 cents and our color bottles are $7.99, offering at a CPP of .58 cents, respectively. The Brother HL-L2395DW is the complete printer for any small business looking for black and white prints. Featuring a print speed of 36 pages per minute and a flatbed scanner for easy copying and scanning, you’ll have everything you need for tackling text heavy print jobs. A 250-sheet paper capacity handles half a ream of paper and an automatic duplexer keeps your office productive, saving time and paper. Multiple wireless printing options are available too, including AirPrint, Dropbox®, Google Drive®, Evernote® and One Note®. Brother sells a TN-730 standard yield black toner cartridge for $41.99, offering a yield of approximately 1,200 pages. Frequent users will prefer the TN-760 high yield option, which prints 3,000 pages for $74.99. Low cost compatible cartridges from LD Products are an even better value, available for just $29.99. The Brother MFC-9130CW is a compact all-in-one color laser printer with print/copy/scan functions that are built for small business. Get high quality text and color documents for less with high capacity toner cartridges that print more pages. 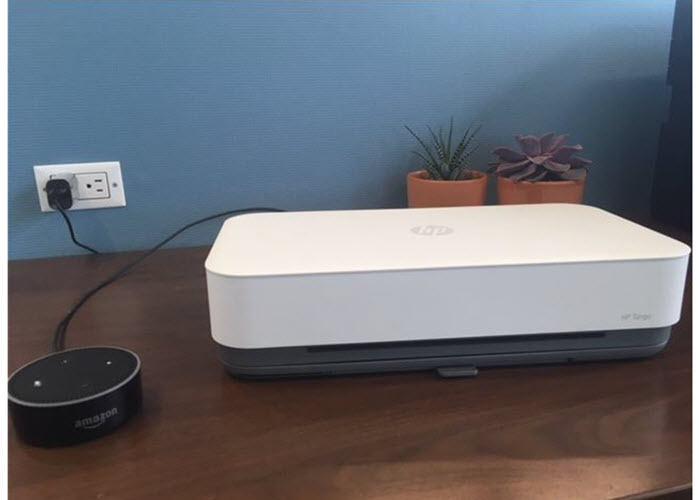 Compatible with multiple wireless and cloud-based storage applications, you can print all of your favorite documents, wherever you store them. Smartphone users can print wirelessly with AirPrint, Google Cloud and Brother iPrint&Scan. Or, use the printer’s 4.3” touchscreen to print from your laptop, Evernote or Dropbox. Brother offers high yield black and color (cyan, magenta, yellow) toner cartridges for this machine. The high yield black TN221 toner sells for $69.99 and prints approximately 2,500 pages. Color toner cartridges sell for $91.99 and print 2,200 pages. 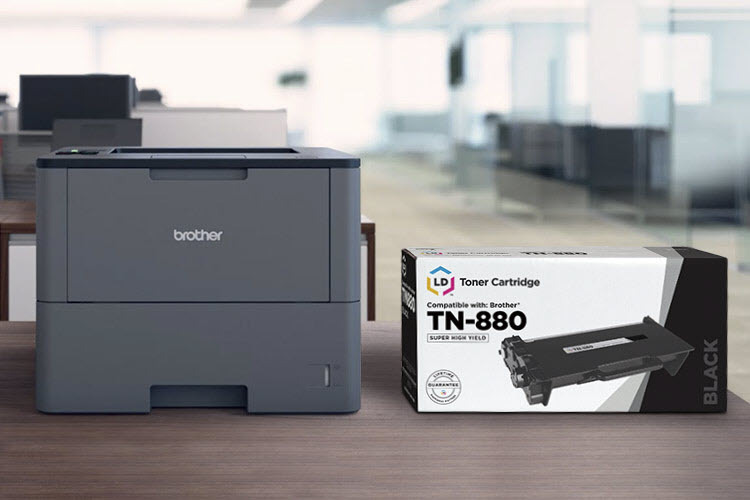 LD brand compatible toner cartridges are great way lower your printing costs, offering the same number of prints as the original Brother brand for just $19.99 a piece. We also offer a bundle pack of all four toners for just $69.96! *Savings based on price comparison between remanufactured/compatible cartridge prices on www.LDProducts.com and OEM cartridge and printer prices from Amazon and Staples. All prices effective as of May 18, 2018. OEM names are registered trademarks of their respective owners and are not affiliated with, and do not endorse LD Products.